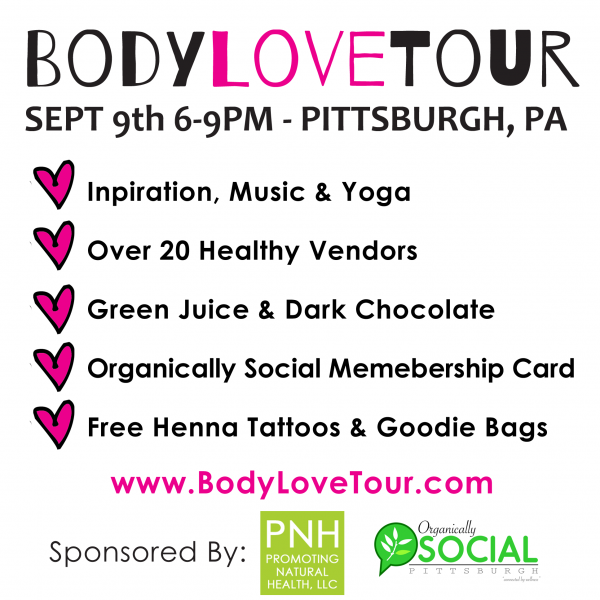 BODYlove Tour Pittsburgh Event is TONIGHT! Hey all! Happy Tuesday! 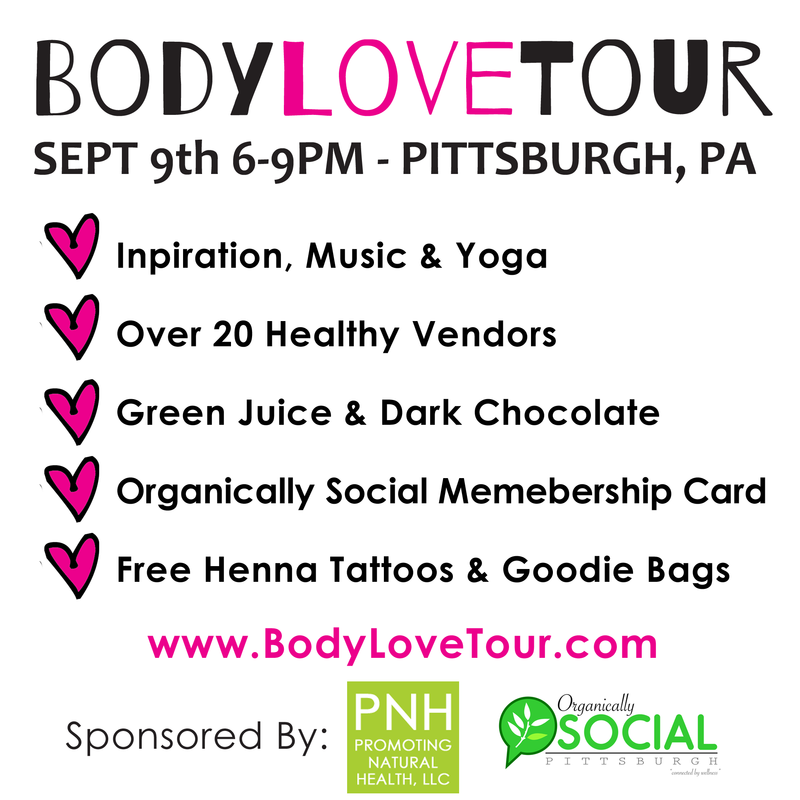 If you’re in the Pittsburgh area I sure hope you can join us TONIGHT at the BODYlove Tour Event! Heather and I will be there as well as a TON of other inspirational local peeps. Did you know that Women spend approximately 135 days, 3726 hours, 223560 minutes, and 13,413,600 seconds in their lifetime getting ready? That’s a lot of time wasted buying into a corporate philosophy that tells us we need to be thinner, prettier and successful to make it in this world. This is where the Body Love Tour comes in. 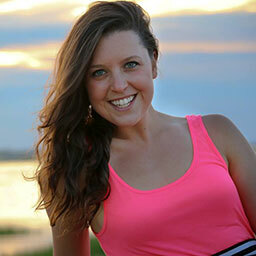 Each event is designed to give women the freedom to express themselves and be who they are. Through inspirational talks, movement, and music—we are changing the way women feel about themselves and their bodies. One by one we are encouraging women to take back their time by spending less on getting ready and more time showing up into who they were meant to be. Heather & I are happy to announce that we will be having PRE-SALES for our BODYpeace book tonight at the event! yay! I will be doing a fitness warm up to get everyone pumped up before yoga by Yoga Innovations then Heather will be cooling us down with a Meditation. After we all get our green juice shot & dark chocolate, Kellee Maize will be performing to end the night! If you can make it – it’s 6-9pm and you can register HERE. California Days [FIVE] & [SIX] Recap!